Kanye West: Did He FORCE Kim Kardashian to Meet With Donald Trump?! 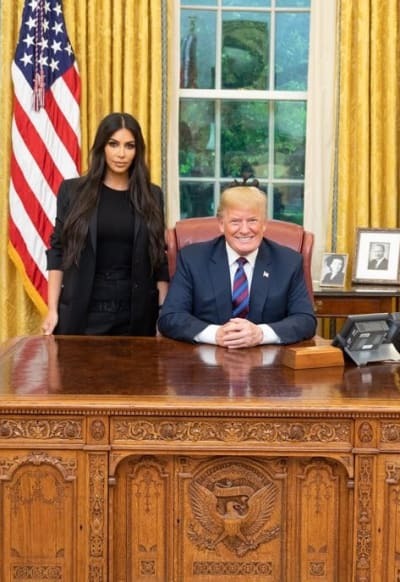 As you’ve likely heard by now, Kim Kardashian met with Donald Trump this week, and the internet simply doesn’t know how to feel about it. Others have condemned her for providing a photo op to a president she’s been highly critical of in the past. And then there are those who feel it’s inappropriate for the president to meet with a reality star, because apparently those folks just emerged from a three-year coma, and no one has brought them up to speed on the news yet. Anyway, this certainly isn’t the first time that Kim’s feelings toward 45 have been the subject of intense public scrutiny in recent weeks. 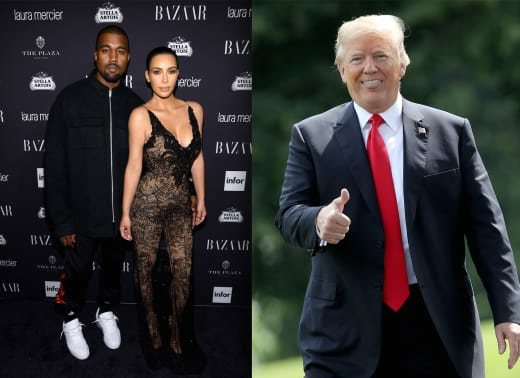 Kanye West’s love of Trump has alienated many of his fans and earned him the admiration of people who usually just call the cops when they hear hip-hop. And there are those who feel its no coincidence that Kim met with Trump so soon after her husband sang the man’s praises on Twitter. According to Radar Online, the situation has resulted in a familial rift, as Kim feels she’s being pulled in opposite directions by her MAGA hat-wearing husband and her more liberal mother and sisters. “Kanye is so proud of Kim for meeting with the Trump, who he openly supports,” an insider tells the site. The political divide within the Kard clan has reportedly deepened to the point that Kris, Khloe and Kourtney are no longer speaking with Kanye. Last night, the rapper hosted a listening party for his new album in Wyoming. Sources say the more left-leaning side of Kim’s family opted to stay home as a form of protest. While it wasn’t all that long ago that Kim considered leaving Kanye (a rough patch he alludes to in the lyrics to one of his new songs), these days it seems Yeezy very much has the upper hand in the relationship. 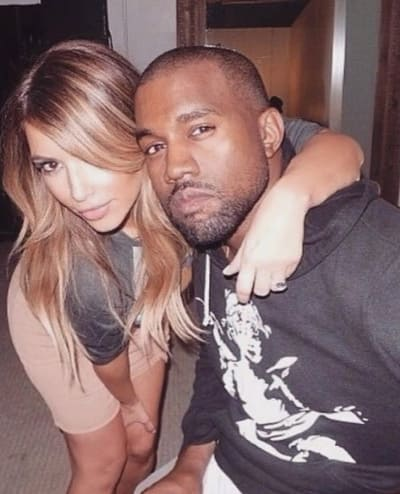 “Kim is being obedient to Kanye now and the power shift has changed dramatically,” the source told Radar. Apparently the rapper is on quite a roll these days. In fact, Kanye might be the only Trump supporter who’s legitimately tired of winning. Dionisio Cephas: I’m Dating Kailyn Lowry! Next story Jenelle Evans: I Told You! The Show Can’t Go On Without Me! Previous story Garrett Yrigoyen Apologizes For Instagram Scandal: I’m SUPER Sorry I Got Caught!